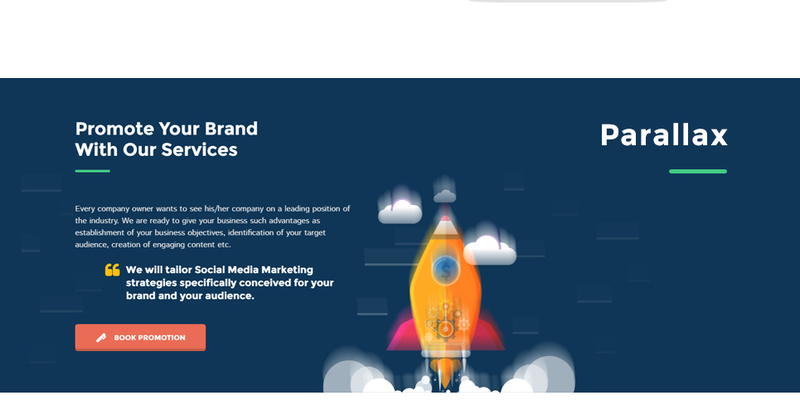 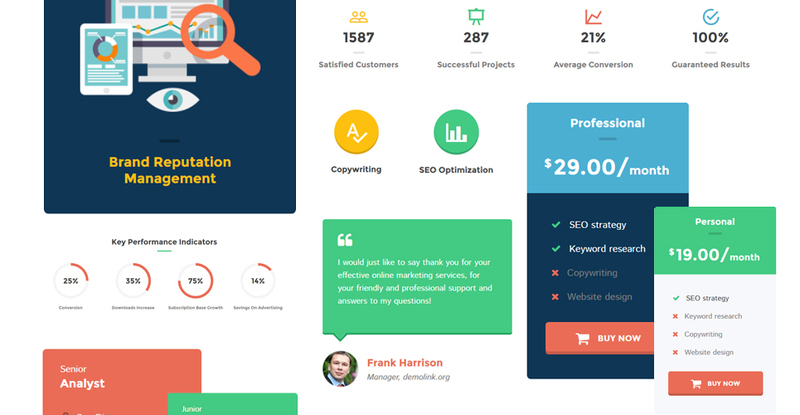 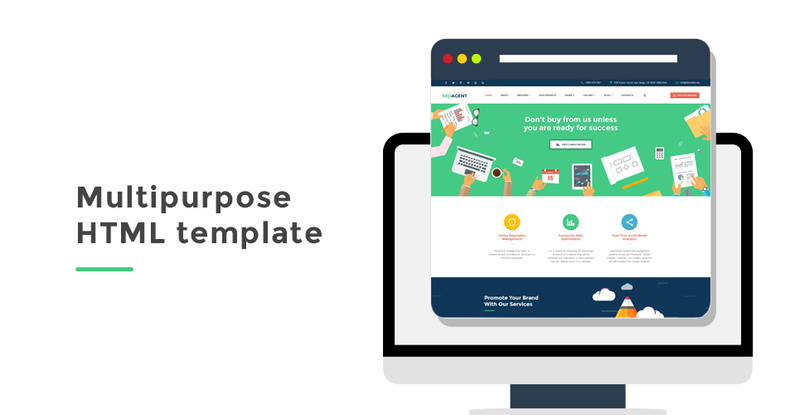 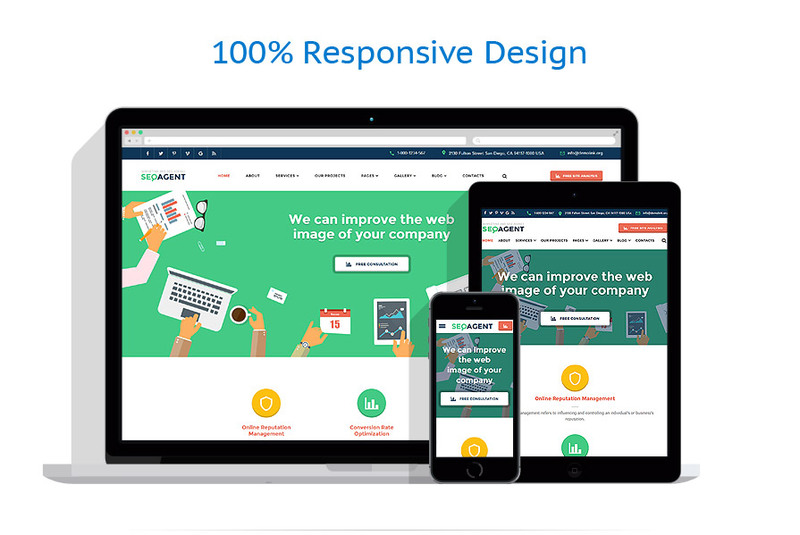 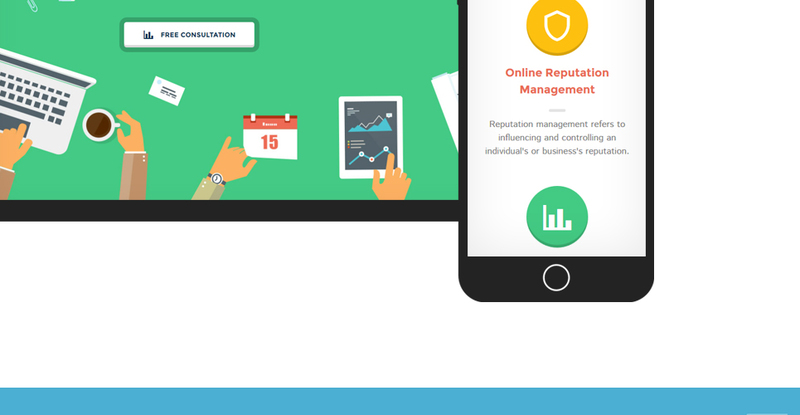 If you enjoy flat web designs, then this SEO responsive website template should come to your liking. 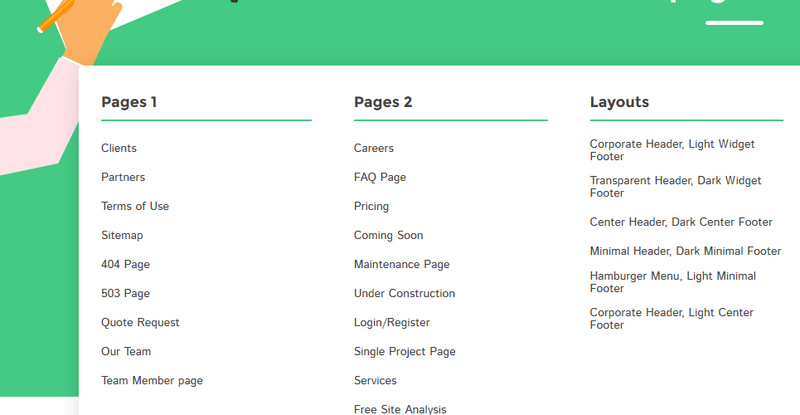 It is quick and easy to scan. 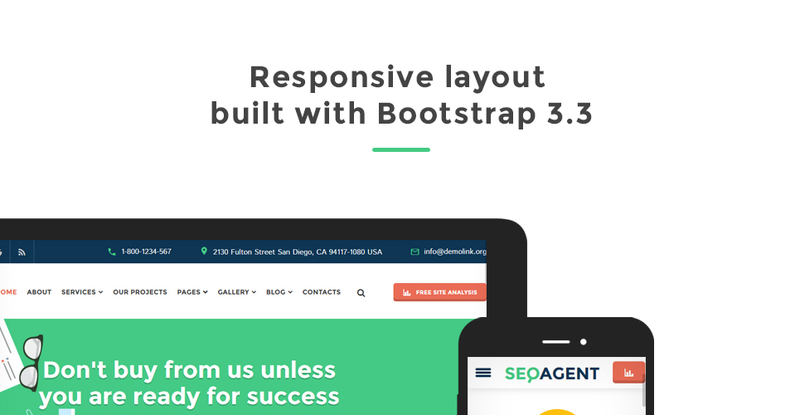 Built with Bootstrap 3.3, it is intended to adjust to any screen size flawlessly. 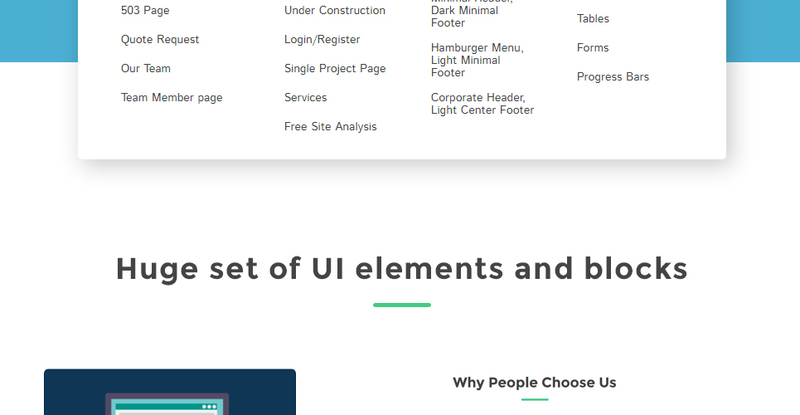 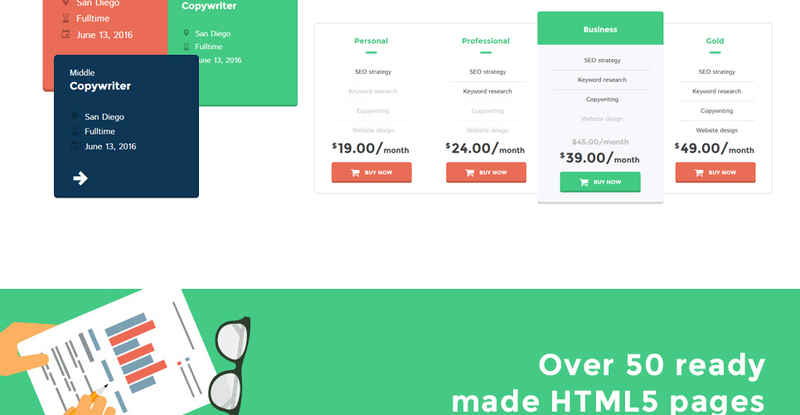 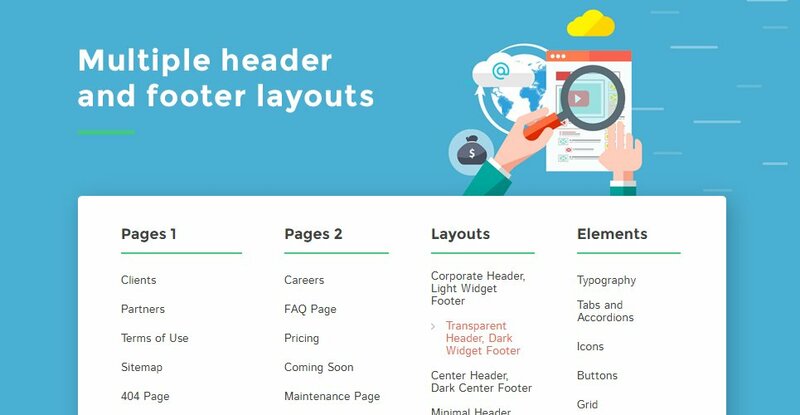 Multiple header and footer variations, as well as a rich UI kit, make the theme's customization easier and speedy. 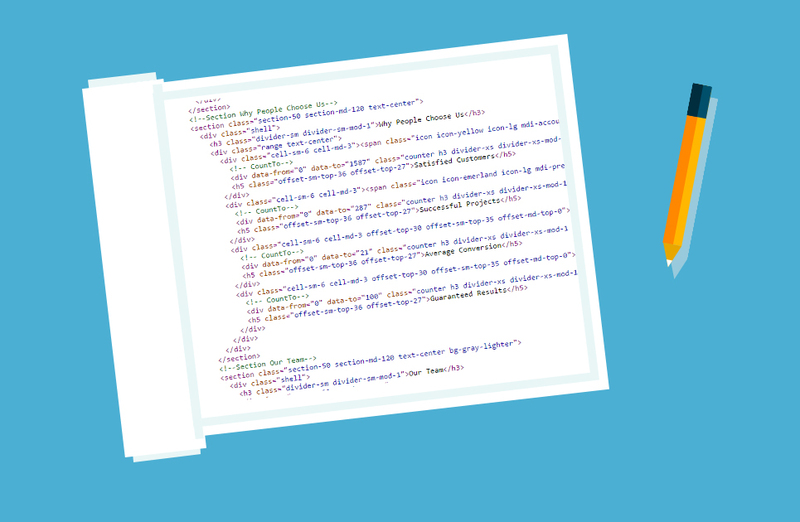 More than 50 ready-made HTML5 pages are ready to go out of the box. 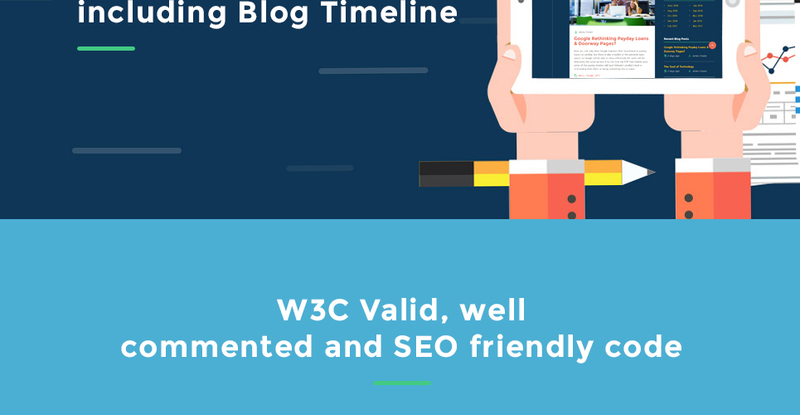 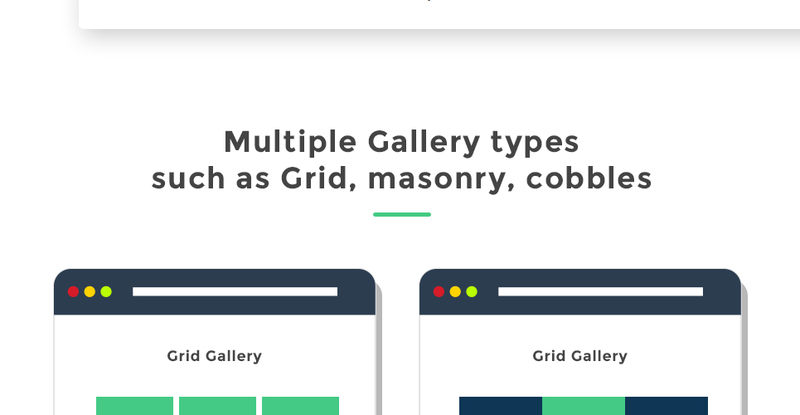 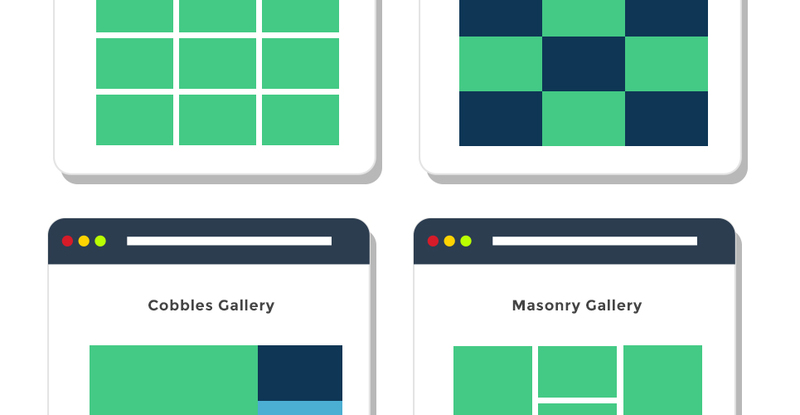 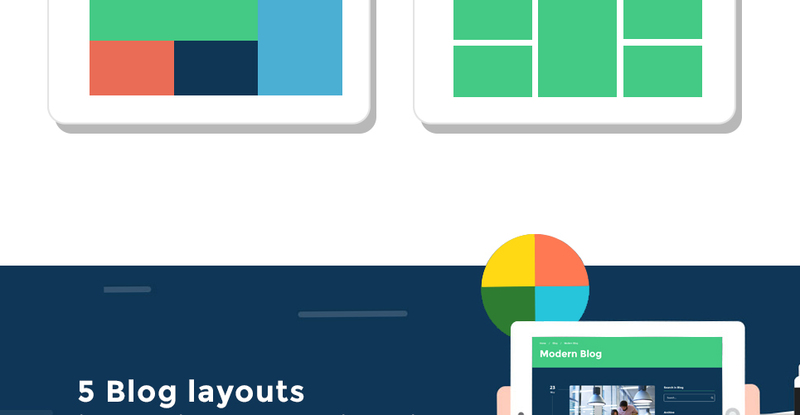 In addition to a selection of pre-design blog layouts, the theme includes several gallery types, which allow you to organize visual data in a grid list, masonry or cobbles gallery.